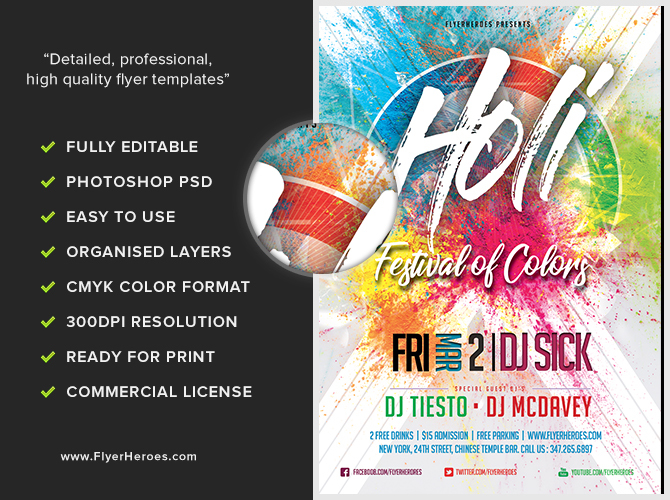 FlyerHeroes has created a colorful flyer template replicating the playful, festive spirit of Holi, the colorful Hindu festival celebrating forgiveness, the arrival of spring, and the opportunity to make a fresh, new start. 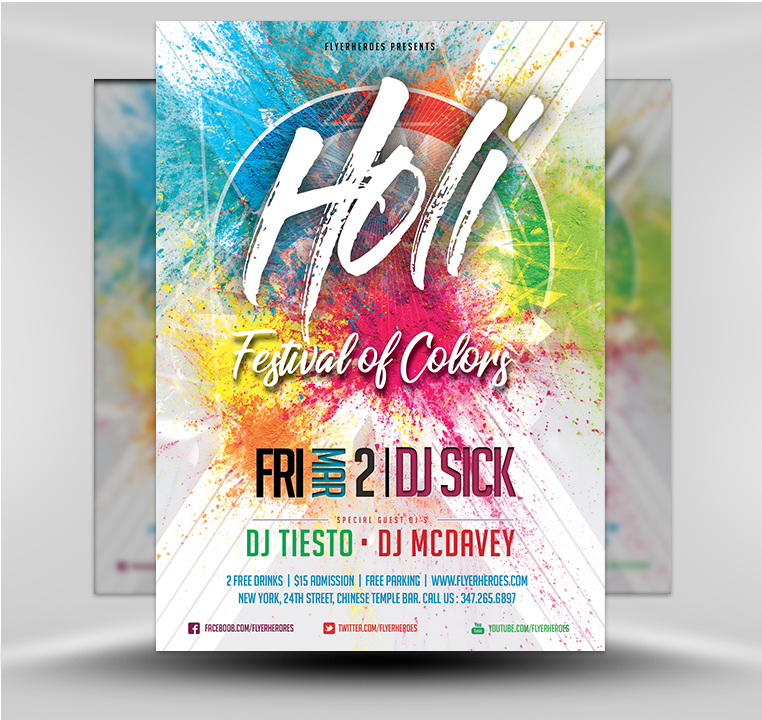 Now, you can quickly and easily promote your Holi celebration event by distributing our professional-looking flyer in front of high-traffic areas such as malls, fast food establishments, Hindu temples, supermarkets, community centers, colleges, Asian and Asian Indian restaurants, office buildings, and more. 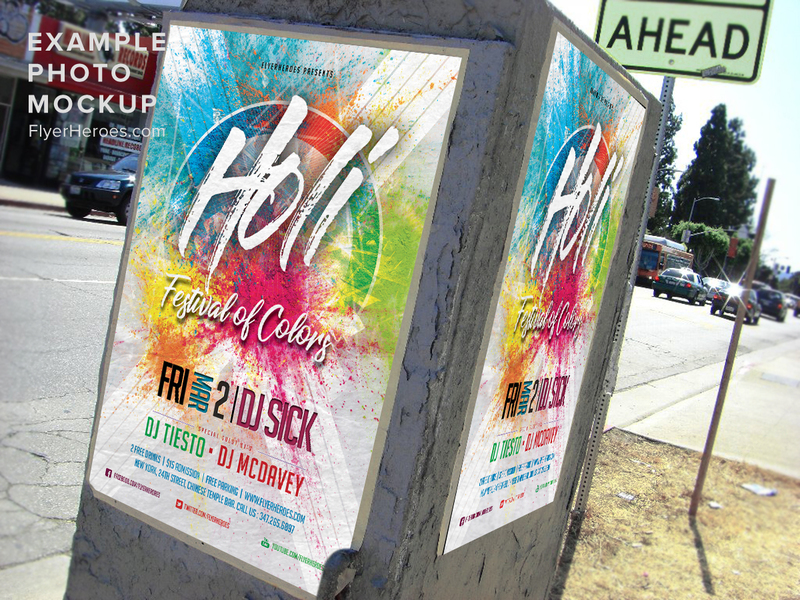 To interject extra spark into your face to face marketing efforts, hand out colored Holi powder packets with each flyer you distribute. This soft-on-the-budget template can also be used to create mass mailings targeting customers either by print mail or via email messages. 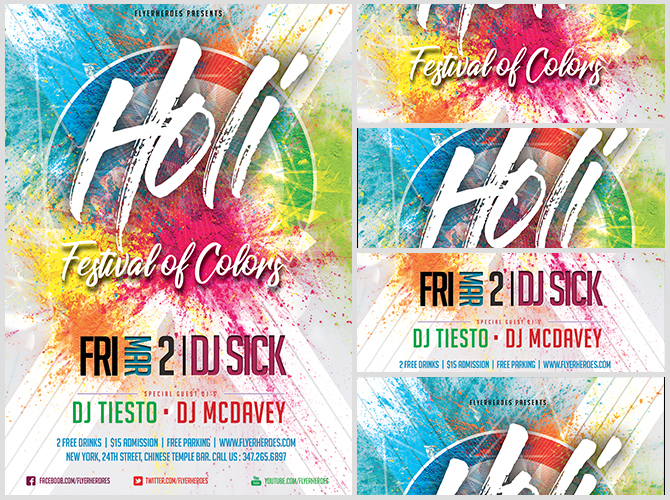 Yes, you can even utilize this colorful Holi flyer within an email message, too. Spring arrives every year and so does Holi! 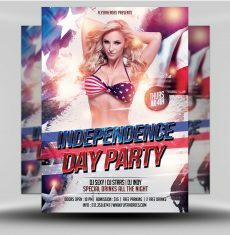 This DIY template is certain to come in handy because you can change the text and distribute it an unlimited number of times. Use it to promote your Holi event spring after spring, without paying additional fees.